We are leading firms engaged in manufacturing, supplying and exporting an extensive range of Furniture Fittings. Our entire product range is durable in nature and is corrosion resistant in nature. 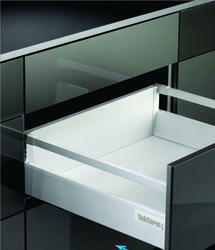 We offer them in varied sizes and fittings and are bars ion resistant in nature. 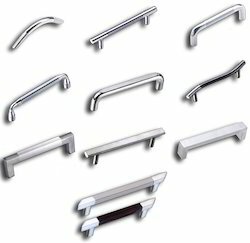 We are among the prominent manufacturer and supplier of finest quality Cabinet Handle. These Cabinet Handle we offer are highly appreciated for its excellent design, superior strength and durability for long lasting use. Our Cabinet Handle are fabricated using premium array of raw materials and tested under several parameters to comply with industry standards. Keeping in mind the diverse requirements of the clients, we offer an extensive range of Drawer that are durable in nature and are performance based. We offer them in varied standard sizes and dimensions and are able to cater diverse requirements of the clients. We manufacture the entire product range as per the set industrial standards and guidelines. Looking for Furniture Fittings ?